One of the best ways to boost up your dining room space is to shift furniture to the corners whenever possible — especially when it comes to storage furniture — display cabinets, sideboards, and a table, of course. 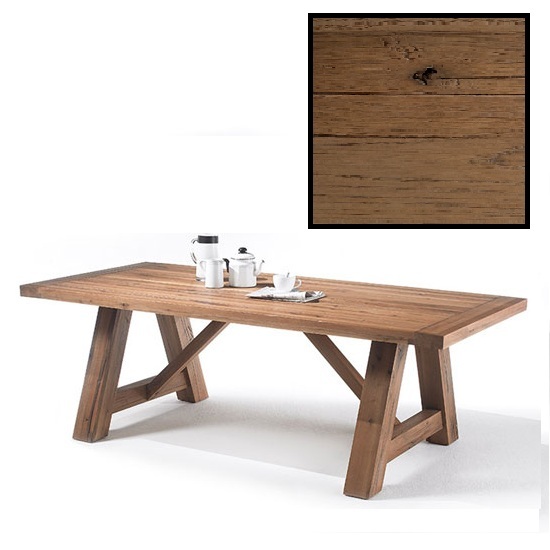 Another great idea would be to use a very compact table that has an extending option. This way, you will get a piece that is more than enough for inner friend and family circle, while at the same time offering extra seats when you need them. If you are looking to equip your dining room with storage, avoid wall cabinets and stick to the shelves instead. This is a way more space efficient solutions that does not create any furniture clutter. Floor standing cabinets, on the other hand, are quite acceptable — especially if you go with glass doors. This little trick visually boosts up your dining room space. Clear glass furniture, in general, helps to create an illusion of empty space which makes your room seem a lot larger. That is why you might also want consider glass dining tables — especially, if you are working on a modern interior. Yet another trick to boost up your dining room space and create a feeling of extra depth is to contrast three light dining room walls with one brighter one. Once again, this is an amazing idea for modern interiors. Wall mirrors, too, can be pretty helpful to create an illusion of extra depth in the room. Plus, there are plenty of ways to create stylish wall mirror arrangements — for more ideas on dining rooms, take a look at this article. 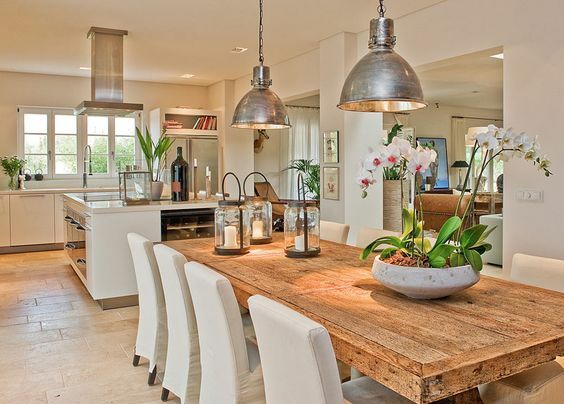 Yet another way to boost up your dining room space is to let in as much natural light as possible. So, you should really avoid heavy drapes and stick to light fabrics and colours. To make sure your curtains look right in place, get a matching rug shade to make the picture complete. This way, even the tiniest dining room will acquire a consistent look. And, of course, do not forget about the artificial lights. Highlight your corners with recessed lights, experiment with pendants over the dining table, get a compact, but eye catching chandelier — all of the lighting sources you choose can really make a difference in a small dining room.